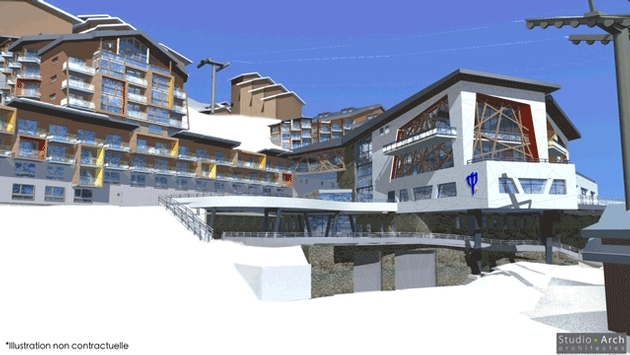 Could Club Med Val Thorens Beat Aspen's Price Tag? Club Med, which opened its first ski resort in 1956, now operates 23 all-inclusive European ski resorts, 21 of them in the French Alps. It will add yet another this December at Val Thorens. The chain is also adding a Paris three-, four- or five-night city stop options for skiers booking one of their French resorts. Under the plan, Club Med will arrange the intra-European flights, the hotel bookings and the transfers. As for the all-inclusive aspect of the ski resorts, the inclusions include ski lessons, ski passes and the other services associated with the concept such as food. According to Club Med, the total cost of a seven-night ski trip to Aspen from New York including flights, transfers, lunch and dinner, alcoholic and nonalcoholic beverages, a six-day lift ticket, ski or snowboard lessons and tipping costs $4,140 per person or $8,279 per couple, while the same package at Club Med Val d’Isere would cost $3,199 per person or $6,398 per couple, for a savings of $1,800 per couple. 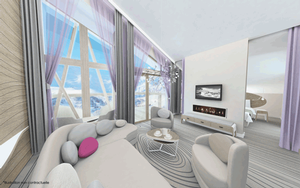 PHOTO: A rendering shows the appointments that await at Club Med Val Thorens. With five major massifs, France offers skiing in the Pyrenees, in Central France and along its eastern border with Italy and Switzerland. The French Alps offer the largest ski domain in the world with more than 360 miles of ski runs that all come under one ski pass. The heights of the French Alps are so lofty that some areas offer skiing from mid-November to mid-May. Val Thorens is the highest ski resort in the French Alps and also is inside Europe’s largest ski pass domain. Though Val Thorens has some of Europe’s most challenging slopes, it has a range of skiing that allows for a variety of skills to enjoy the slopes. As a Club Med resort it’s also strong with providing family activities. Other sports from dog sledding to para gliding are also available. The resort promises to be a delicious place to stay as well as it has engaged two-star Michelin Chef Edouard Loubet to oversee Epicurious, the resort’s concept restaurant. 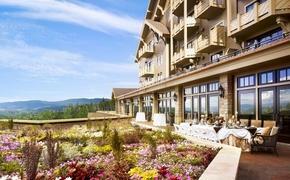 The resort will have 348 spacious rooms beginning at 248 square feet. The configuration includes 12 deluxe rooms, five junior suites and six suites.